Ezra F. Vogel, Ford professor of the social sciences emeritus, whose biography, Deng Xiaoping and the Transformation of China (reviewed in the September-October 2011 issue, page 33) , portrays the leader who both opened his country’s economy and directed the use of force that June. Translated in a somewhat redacted version, it contains the first known Western account of the 1989 events to be published widely within the People’s Republic. Adi Ignatius, editor in chief of Harvard Business Review , who was Wall Street Journal bureau chief in Beijing in 1989 (when his wife was Newsweek’s bureau chief). Ignatius subsequently co-edited Prisoner of the State, the recollections of Zhao Ziyang, the party general-secretary who declined to impose martial law to suppress the protests, was purged, and was placed under house arrest for the rest of his life. Even as the interviews were conducted, in late April and early May, The New York Times reported that Chinese authorities had detained writers, scholars, and at least one journalist and one lawyer associated with the Tiananmen movement or subsequent discussion of it, repeating a pattern seen before the approach of other momentous anniversaries in an apparent attempt to suppress any overt action this June. Many more were subsequently detained. Given China’s economic prowess today, it may be hard to remember conditions in the mid 1980s. Its paramount revolutionary leader, Mao Zedong, had died in 1976, preceded by his premier, Zhou Enlai—following twin, self-imposed catastrophes. The Great Leap Forward, begun in the late 1950s, caused perhaps 40 million deaths from famine. In the Cultural Revolution, launched in 1966, higher education ceased, millions of educated and elite citizens were purged, and perhaps a million people died, leaving the society riven with factions. Upon returning to power in 1978, Deng launched economic “reform and opening,” over opposition from traditional Communists, but retained tight political control. In this context, China’s leaders were especially wary about urban unrest. When Philippines president Ferdinand Marcos was displaced and democracy restored in 1986, demonstrations arose elsewhere in Asia—including in China. They were suppressed. General-secretary Hu Yaobang, accused of excessive sympathy for reformist students and intellectuals and “bourgeois liberalization,” was stripped of his position. Hu’s death on April 15, 1989, prompted widespread mourning—and became the occasion for renewed student and intellectual advocacy of political reform. The timing was fraught—70 years after the student-led May Fourth modernizing movement, and 40 years after the People’s Republic itself was formed. Solidarity had finally upset the Communist order in Poland, dismantling the party state in April, leading to elections (ironically, on June 4), and signaling the sweeping liberalization of Eastern Europe later that year—culminating in the breaching of the Berlin Wall in November. 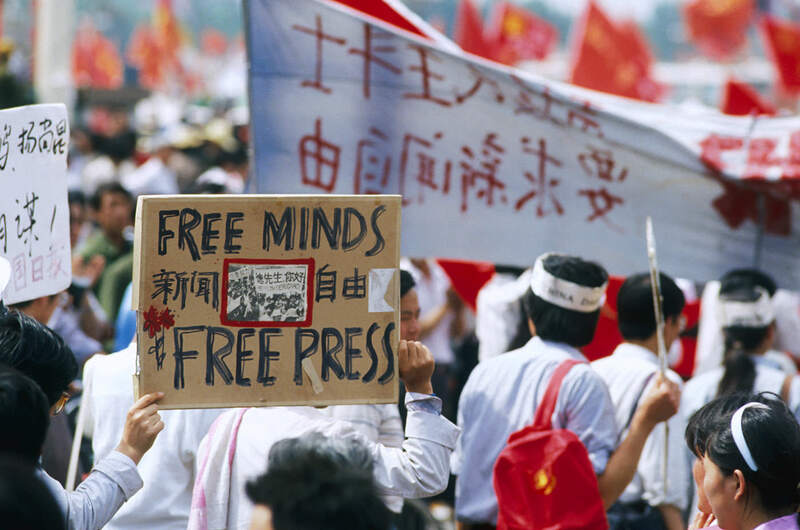 As the protests began, the world media arrived in Beijing to cover the mid-May visit of reformist Soviet leader Mikhail Gorbachev and rapprochement with the USSR. 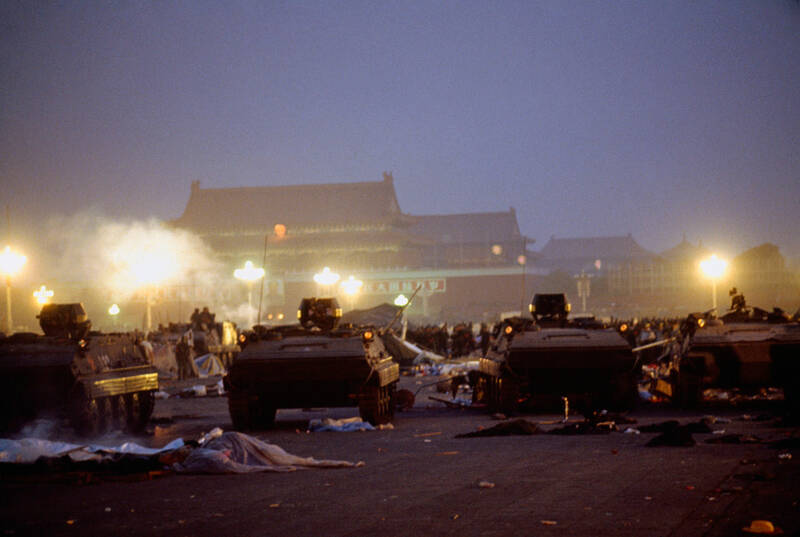 After the student protestors refused to leave Tiananmen Square during Gorbachev’s visit—derailing planned events, and attracting further attention to themselves with a hunger strike—Deng ordered the imposition of martial law, with unarmed troops entering the city on May 19-20 to end the demonstrations. To the leaders’ astonishment, Beijing citizens banded together to block the troops’ progress—calling into question the ultimate authority of the party and the state. 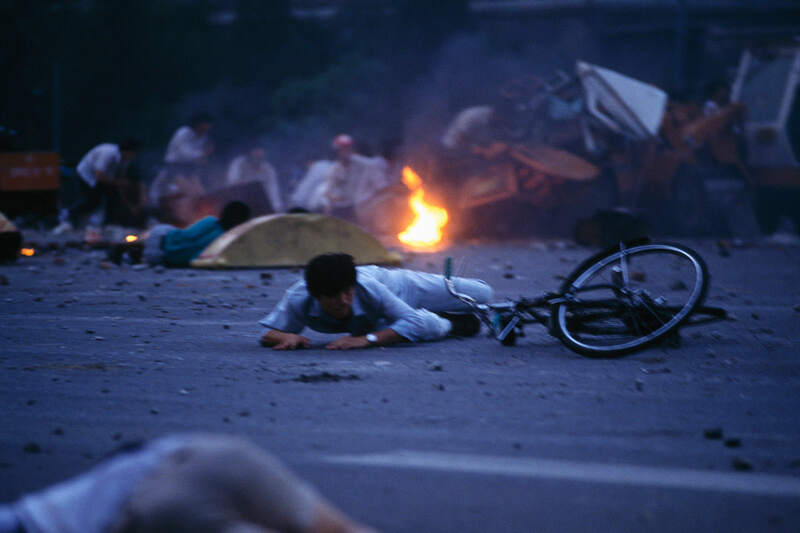 From there, Deng set the course for a militarized repression of the Tiananmen movement in the capital, as a signal to popular demonstrations nationwide. Edited excerpts of the magazine’s conversations with these four observers follow. In 1976, when Mao died and Zhou Enlai died and the Cultural Revolution came to an end, the country was in turmoil. The average per capita income was around $100 per year. They had wasted 20 years when they could have been moving ahead, between the Great Leap Forward and the Cultural Revolution. Ever since the Opium War, they had been trying to pull the country together so it could be unified and modernized. In 1949, it was unified, but they didn’t find the path to modernization until Deng came to power at the end of 1978. Under his leadership, China began to introduce various kinds of reforms. Under Deng, the leaders who had been pushed aside during the Cultural Revolution in 1966 and 1967 came back. They realized China needed big changes. But as to what particular kinds of changes, there were all kinds of opinions. One big difference was between Deng Xiaopeng, with 12 years of experience in the military, who wanted to barge ahead as fast as he could, like a commanding general, and Chen Yun, a powerful economic planner and later chair of the Central Advisory Commission, who was like the financial officer of a big company, wanting to know where money was coming from, and feeling responsible for getting everything in order. Another difference was between Deng and Hu Yaobang, who wanted more freedoms. The problem of China had been that amidst instability, a leadership core had not been able to keep order and introduce changes in a systematic way. Leaders felt that without a political core that reached some kind of consensus, the place would fall apart again. They had so much chaos in the 1920s and ’30s and ’40s and again in the Great Leap Forward that there was widespread conviction of the need for some basic core direction and control. My liberal intellectual friends in China feel that Deng Xiao­ping made some serious errors that paved the way for those huge demonstrations. In 1988, Deng felt he was getting old, and decided that before he retired, he ought to unfreeze prices. Because the reforms had happened in the countryside earlier, money was flowing into the cities, making daily goods on the markets, like food, go up very rapidly. For people on salaries, in cities like Beijing, uncontrolled price rises were threatening their ability to make ends meet. Some people estimated that prices in 1988 were going up over 30 percent per year. Within weeks, there was so much reaction, even Deng had to pull back. But then the conservative financial people got control of the economy. Construction projects were pulled way back. That meant that there were unemployed construction workers running around the cities, and the middle class were quite scared. So you put that background in with students who were affected by the winds of freedom and democracy that were coming from the Philippines and other countries—the excitement of that, and the hope among Western journalists and others in Beijing that this was a time for a democratic breakthrough in China. American audiences are very excited by those who demonstrate for democracy around the world. Yet there was a concerted leadership in China who didn’t feel the country was ready for that, and they were determined to keep order. It was a very explosive situation that unfortunately ended in tragedy. Everybody lost. From my perspective, as a journalist covering China, 1988 and early 1989 were just the most exciting period. The economy was suffering some problems, and the government was preoccupied with that, and it gave some room for people who were questioning the way things were done. It wasn’t dramatic—it certainly wasn’t fundamentally challenging the Communist Party—but it felt like a society trying to figure out what the future was and trying different avenues. Zhao Ziyang was head of the party then, and he had two think tanks, one on political reform and one on economic reform, and they were run by people who were willing to think broadly and openly about these things. That was, at the time, quite exciting, though the process remained very opaque. People were also pushing the envelope outside the party. I remember two prominent examples. Fang Lizhi, an astrophysicist who was dismissed from his academic-leadership posts after the student demonstrations in 1986, his protégé Wang Dan [Ph.D. ’08], a leader of the student movement, and Fang’s wife, Li Shu­xian convened open salons at Peking University. They would talk about questions of democracy—intellectual basics, very abstract, very careful, but it was a big deal. The other was this absolutely bizarre art exhibition. Avant-garde art and Maoist, Warhol-esque art was suddenly becoming popular in China. The government wasn’t sure what to do about it, and they let these artists take over the National Art Gallery in Beijing. One girl, the daughter of an official, had a performance-art piece, in which she fired a real gun at a phone booth and shattered the glass. At that point, the officials came in and shut it down and took people away—but in the end, no one got arrested. There was a feeling that anything was possible. In some ways, that spirit led to the student movement—not directly, but the context was crucial. When Hu Yaobang died, the student demonstrations were reminiscent of other protests, like when Zhou Enlai had died in 1976. Nobody thought it was a big deal initially, or that the students could cause such a spark. But the government made it a bigger deal by doing some things that were, at least in retrospect, clearly mistakes. The biggest mistake was an editorial in the People’s Daily on April 26. A week after Hu Yaobang died and the first student marches had started, the government declared that the protests were bad, saying they were stirred up by opportunists and foreign black hands—the usual stuff. But the students felt themselves to be the loyal successors to the ideals of the May 4 movement and thought themselves patriotic. Suddenly, they were branded as criminals. The movement became more defiant. What was really scary was the first big student march after the editorial. Professors came out and told their students, weeping and sobbing, not to march, because it was going to end violently. People were saying goodbye to their colleagues, teachers, and parents. Quickly, this had ratcheted into an us-versus-them struggle. That day, there was a big march toward Tiananmen Square. There were police blocking the street along the way, locking arms, but they weren’t armed. When the students kept pushing and pushing, eventually, the arms broke apart. They made it through without bloodshed or arrest and made it to Tiananmen Square, and then it was on. The occupation of the square continued for weeks. Most importantly, there was, by this time, a power struggle in the highest levels of the government, and the students were sort of secondary from that point on. Deng Xiaoping was above the power struggle. He was the oracle, the arbiter. But the Standing Committee of the Politburo, the core, was split between relative liberals and relative conservatives. 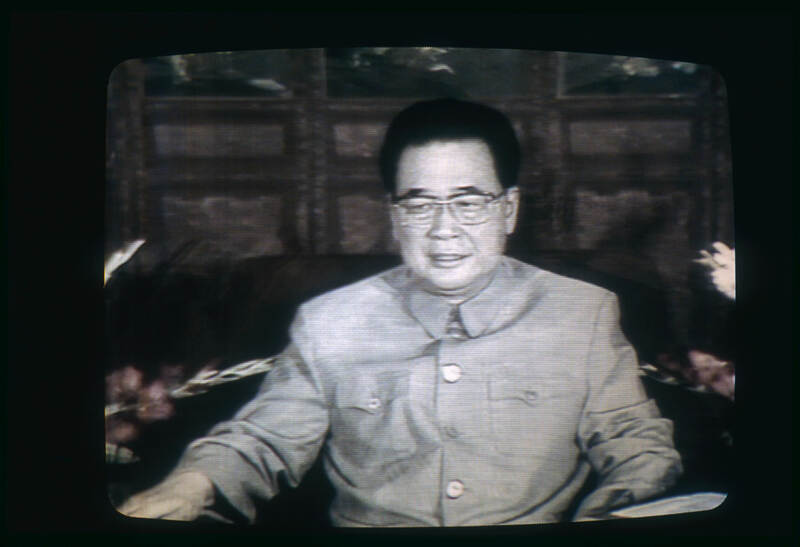 Hardliners like Li Peng, the premier, were constantly reporting what was happening in the streets in the direst way. In early May, under Zhao’s apparent direction, the party gave people official approval to march, and then there were a million people in the streets of Beijing. And suddenly, for a couple of remarkable days, the papers were reporting the truth instead of propaganda. The civic engagement was great for those two days, though I’m sure it scared Deng and Li. When the decision was made to declare martial law and crack down on the movement, Zhao said, “I can’t do that.” And then the split was evident. That’s such a no-no with Communist regimes. There’s meant to be discussion, but afterward, a single party line with no signs of cracks. It took 10 days or so between when martial law was declared and when they finally cleared the square—the split was still being fought out. By June 2, there weren’t very many people in the square anymore. It was raining, and a lot of the Beijing students had gone back to campus. There were still students trickling in from the provinces—and there were movements in Shanghai, Nanjing, and everywhere—but in Beijing, at ground zero, it was losing steam. A lot of journalists I know left China on June 2. They’d been working nonstop, but nothing was happening at that stage. I was in Hong Kong, where my wife had just given birth. But the government first sent unarmed troops toward the square on June 2, which succeeded only in stirring up citizens. The next day, they sent in armed soldiers and tanks. The news of the crackdown was shocking. Right after, the student leaders appeared on most-wanted lists that were shown constantly on TV. A lot of people were preoccupied with trying to get the students out of China, and there was an incredible movement to smuggle them to Hong Kong, and then out of the country. Li was shown on TV marching around like Hitler—it was weird and frightening. CNN had been broadcasting live from the square every day and every night—one of the first times they’d ever done that. The whole world had fallen in love with the students and their ideals, and the crackdown was crushing. There was a feeling that this movement was so widespread that the crackdown couldn’t possibly be the final word, that there’d be national strikes, or the party would collapse. That turned out to be wrong. I arrived in Nanjing in late summer of 1989, two months or so after the crackdown. In Nanjing, there hadn’t been a violent crackdown, but all the students had been out on the streets during the movement, and many had gone up to Beijing. Everybody was enervated, but also very stressed. Faculty, students—they were all waiting for the hammer to fall. They had all in some sense implicated themselves. I can’t tell you the number of faculty I knew who were chomping on sleeping pills, this one had an ulcer, that one had a tic—there was just an incredible amount of low-key anxiety, generally not spoken about. Although this was 20 years after the most heated part of the Cultural Revolution, there were still a lot of vestiges, including in the universities. Generally, they followed the work-unit system, so people were employed for life by their state employer, they were housed in that university, they lived among their colleagues. In the workplace I was in, even in the department I was in, there was all this roiling tension among people who had battled each other in the Cultural Revolution, as young faculty and students. On top of that, you had the tensions of the post-Tiananmen crackdown. Again, people had marched, but sometimes in different factions; some had marched more aggressively, others not. They were all still forced together. You can imagine the degree of despair, and tension among the individuals themselves, and between the individuals and their workplace, after all these years—and now this latest round. It turned out the university party committee squashed the investigation. This system had no appetite for further cracking down, at least in Nanjing. It had no appetite for encouraging dissent, but it had no appetite for following up on the harsh rhetoric of the center. It suggested to me that this was a very complicated system that was in deep despair, but also deep disrepair. It was a very strange feeling that winter when the Berlin Wall came down and things moved so quickly in eastern Europe and central Europe. It was a particularly bitter time in China, because every night, on the news, you could see the premier, Li Peng, with a scowling face and a rhetoric that reminded people of the old days, hints of “class struggle”—terminology that people hadn’t heard in 15 years was returning. There was a feeling not just of stasis, but of reversal, and China was heading backward. Forget the grand, big-picture China. People individually felt, “We are really in trouble. Our country is going backward, and we are going backward with it. And meanwhile, all the excitement, everything that we participated in in June is playing out, but not in China”—in eastern and central Europe. So I walked into the square, and it was desolate. I am sure there were other civilians, but I just saw soldiers. The square was a mess, still, and that was six months after the massacre. Many tiles were destroyed, the square was dilapidated—presumably heavy vehicles had been in there. And then when I walked back out on to the Avenue of Eternal Peace, the asphalt was still deeply marked by tank treads, and one could still see the bullet pockmarks on the wall as one walked down the road. At the same time, there was an exhibit at the military museum to the west of Tiananmen, not far from where most of the killing took place on June 3 and 4 and not far from where many of the senior leaders lived. The museum had a very big display of tanks and buses and armored personnel carriers that had been torched, destroyed by students and rioters, with the government’s message about the unrest and all the terrible things that had been done. I can remember a lot of Beijing people milling around, gawking at all this stuff. Such a sad statement about what that government had to offer people at the time—which is to say, nothing, except accusations and very harsh words. In retrospect, I can understand many things better, but in those days, I was just a teenager. I grew up during Mao’s Cultural Revolution and Deng’s reform era. Our generation was instilled with values to be patriotic, to be idealistic, to love the country more than anything else, and to be ready to sacrifice for the nation and the people. In the 1980s, we were materially poor. We didn’t have nice clothes to wear and good food to eat, but people were hopeful, people were smiling. In 1989, we took to the streets not because of anger, not because of hatred, not because of grievances. We really took to the streets because of trust, because of love, because of hope. In 1989, the movement was led by students. They called it a patriotic, pro-democracy movement, and they kept emphasizing the word “patriotic.” They thought they were following the Chinese tradition of Confucian dissent, which meant they were not looking for revolution or regime change—they were pushing for political reform, to help the rulers improve. Chinese intellectuals in the 1980s considered it their responsibility to help improve society. Strategically, the students also thought that if they called the movement patriotic, the government would not crack down. That’s why they tried to separate themselves from the workers and from other groups. 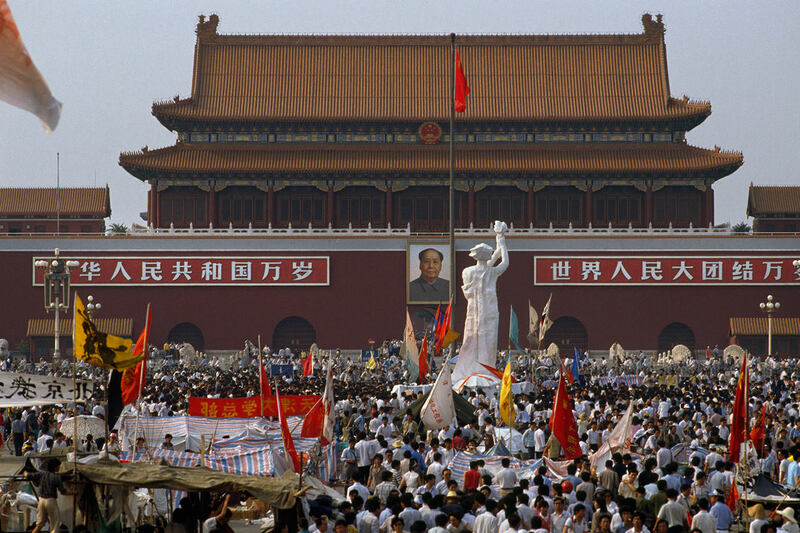 There were three men who threw paint on Mao’s portrait in Tiananmen Square in late May 1989. They weren’t students, and they thought that the root of the problem was that Mao and Communist ideology were still there. Instead of including and embracing these people, the students turned the men in to the police, to show that the student demonstrators weren’t troublemakers. If the students had worked with everyone to form a grand alliance and called for radical regime change, then maybe the result would have been different. But they didn’t do that! They were taught to love their country, to sacrifice for their nation—and when they did what they were told, they were punished by the very system that instilled those values. For the exiles, they were abandoned by the land that they had sacrificed themselves for. It is a betrayal of loyalty. I see 1989 as a missed opportunity for political change in China. But there were still many opportunities over the past 25 years. Every time a new leader came into power, people were hoping that things might change for the better. Instead, they didn’t. Look at Taiwan. It had something very similar to Tiananmen: the February 28 incident in 1947. It was the same thing: the government cracked down violently on demonstrations. You could argue that would close all possibilities for change, but instead, Taiwan learned the lesson. In the 1980s, through both pressure from below and a more enlightened leadership above, Taiwan introduced a free press and released political prisoners. So you see, when the government opened up, it made its own survival possible. Of course, democracy doesn’t solve all the problems, but Taiwan has taken the most important step for change. People often say that Chinese intellectuals were raped twice. The first time was the anti-rightist campaign in the late 1950s, when they were encouraged to share their critical views, but all of a sudden, people who did were punished. The second time was 1989. The immediate effect of the military crackdown was the silence of Chinese intellectuals and profound cynicism in Chinese society. People would say that even if you do something, you are not going to change anything. Why bother? 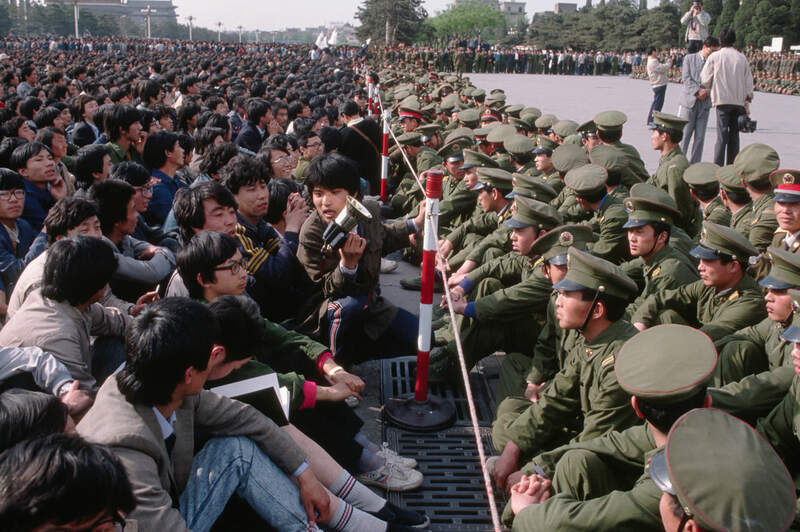 Immediately after June 4, we were forced to say that it was a counterrevolutionary riot and a Western conspiracy to divide and weaken China, so the military crackdown was justified. Afterward, the government tried not to mention it. On the eighteenth anniversary, in the advertisements of the Chengdu Evening News, there was one line that said, “Paying tribute to the strong-willed mothers of June 4 victims.” And it was printed! It turns out that the editors didn’t even know what it meant, but they were still punished. As Princeton sinologist Perry Link [’66, Ph.D. ’76] wrote in the introduction to my book, the Chinese government has taken the approach of “Money, yes. Ideas, no.” They tell people they can get rich and do anything, as long as they don’t touch unapproved politics. One thing the regime learned is that they need to make sure the younger generation does not repeat what the students did in 1989. I often use the metaphor of locking the doors and locking the mind. In 1989, the government locked all the doors of major campuses to prevent students from taking to the streets. But now, even though the doors are wide open, students do not take to the streets to push for political reform. In China, more than other places, each generation has this very special characteristic of what I call “generational thinking” because all the political socialization agents—media, school, parents, textbooks—are centrally controlled. However, the manipulation of memory is always accompanied by sociopolitical and psychological distortions. Citizens understand their responsibilities for a country’s future by debating the moral meaning of history. When a regime tells its people that human lives and human rights, human dignity and human decency, can be “sacrificed” for the sake of higher goals such as national pride and economic development, it sends the message that any principle can be compromised to “get rich” and for China to “rise.” Such a mentality has become the root of major social and political problems in post-Tiananmen China. The leaders of China have believed that open discussion of June 4 is still too dangerous. To the extent that it is to be discussed, it is the story of misguided youth who unfortunately had to be put down because they obstructed the functioning of government and the city. That’s the story that the regime in charge of the propaganda department wants to get across. But there are so many dramas and stories told, even short stories based partly on reality. Once the propaganda department gives a little room, those writers will have a way of giving the public a better understanding of what went on. At a certain point, they will be able to reverse some of those verdicts on the people accused of causing trouble, and that will be a big thing. It may be at a time when some of the leaders pass on, or it is possible that the current leader, Xi Jinping, later in his term, might be able to do it. Hu Yaobang has an anniversary coming up: November 2015 is the hundredth anniversary of his birth. That could potentially be a time when more things are written about Hu Yaobang, and it could be an occasion for a little more openness. I’ve always felt that at some point, Tiananmen will be officially reevaluated, and there will be an apology. But the longer it goes, the less likely it seems. It seems less important, like a blip in history, and fewer people will have heard about it. The post-Tiananmen question, which Deng resolved, was “Economic reform: yes, a lot of it. Political reform: none.” That was the sense of balance that people were fighting over during the run-up to the crackdown, and Deng absolutely established it afterwards. That persists today. We’re still living in the post-Tiananmen era. Is that balance sustainable forever? I can’t believe it is, particularly if the economy fails to deliver, as it has to at some point. If something’s not sustainable, it will stop, and the question is when, and then what happens. One view is that the government will keep handling this okay. And the other is that something has to blow, because it’s not possible in an authoritarian state to release pressure along the way. I think that’s probably true, it’s just that the boom could be tomorrow, or it could be a hundred years from now. As an individual, I look at the reality of a government and soldiers shooting unarmed civilians, and it seems to me that it normatively should not be forgotten. But objectively speaking, I don’t know whether countries and societies have to come to terms. There’s a sad reality that many parts of China have moved on, and to some extent forgotten this event. After the Soviet Union collapsed and there was real disorder in Russia and economic growth stopped, at least some participants in the 1989 movement looked back on their actions with a more skeptical eye. I don’t mean that they somehow believe what the government did in cracking down was right. Rather, they look back on it and say, “Maybe we were naïve, and pushing political revolution wouldn’t have led to positive outcomes in China.” I don’t advocate that view, but we have to recognize that a substantial portion of the educated Chinese public believes that the movement was not a wholly positive thing. For a lot of us, it’s uncomfortable recognizing that, because of course that’s the government’s official line. But the state also had to change. It didn’t really allow the line that Li Peng was spouting in 1990 to rule the day—certainly not economically and even politically. So they, too, took some lessons from the collapse of the Soviet Union, and all the other things that happened in the mid 1990s. So that makes the issue of a society coming to terms with Tiananmen very complicated. Maybe in some ways they are coming to terms with it. It just has to be recognized it’s not doing so through free and open debate by any stretch. Tiananmen did not end in 1989. It remains a politically taboo topic in China. The Tiananmen Mothers are still prohibited from openly mourning their family members, exiles are banned from returning home, even to attend a parent’s funeral, and scholars working on the topic are regularly denied visas. The war of memory against forgetting continues [see “History and Memory,” above]. Because public opinion pertaining to nationalism and democratization is inseparable from a collective memory—truthful, selective, or manipulated—of the nation’s immediate past, the memory of Tiananmen has become a highly contested field. Many of the human-rights activists in China today, those who are imprisoned and those who are quietly working on NGO projects, are veterans of the Tiananmen movement. They were not high-profile leaders in the square, but those extraordinary days in 1989 have changed their life trajectories profoundly. Some exiles have moved on, but many others continue to carry on the unfinished cause, paying a heavy personal price. As discussed in my book, the exiles are often torn between living an ordinary life and fighting for an unfinished cause. We have learned that being idealistic can mean being selfish. You can choose to be idealistic and be prepared personally to pay the price, but our families did not make that decision. They do not choose to be our family members, but they have to pay the price for our personal decisions. Ironically, we have become the best illustration of the two central themes in Communist education: sacrifice and idealism. June 1989 is an open, unhealed wound. Truth and reconciliation: there will be no reconciliation without truth. Milan Kundera described the struggle of man against power as the struggle of memory against forgetting. Tiananmen as forbidden memory didn’t end in 1989, and it has never ended. It was just the beginning of an end. China has to face its past to have a future.